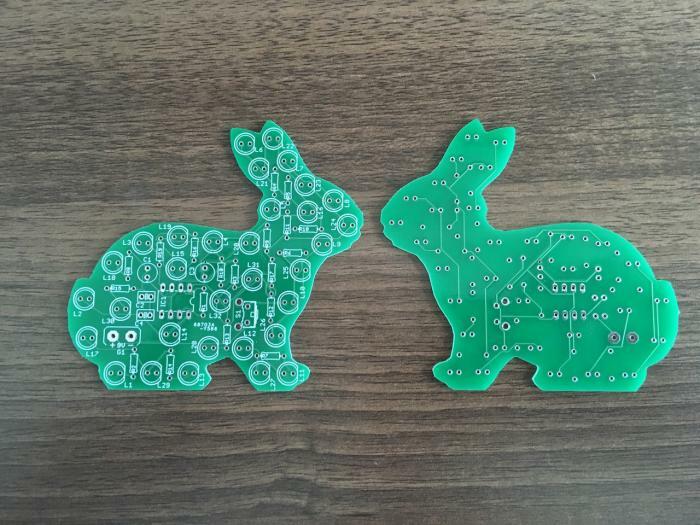 Just before Easter I've put together a PCB of a flashing LED Easter Bunny. 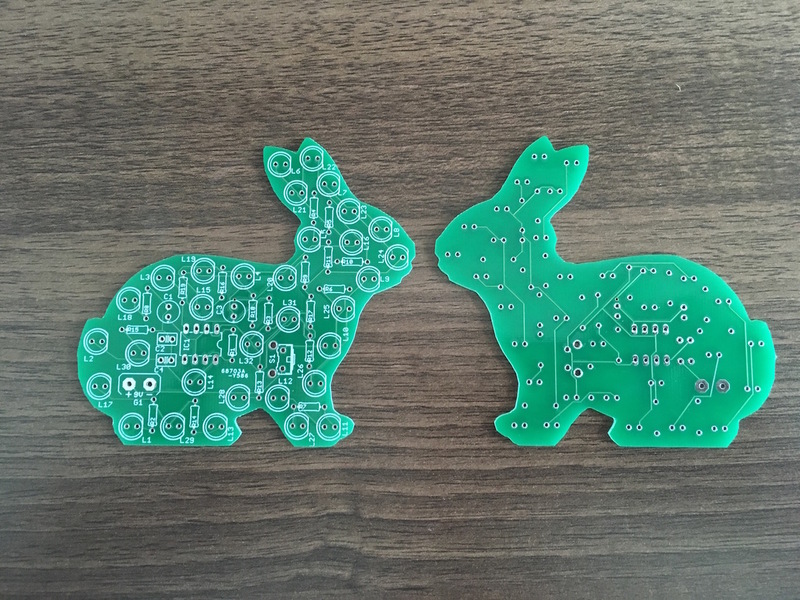 I was working with tight timelines and only had just over 2 weeks before Easter came around and I wanted the PCB in time for the break. I knew that Oshpark would not be able to turn around that quickly (postage to Australia) so I looked for alternatives and found ShenZhen2U. Overall I have to say that ShenZhen2U is fantastic! Read on for details. I was pleasantly surprised that when the PCB arrived it was vacuum sealed in bubble wrap. Now this fab is based in China and not US so the postage prices vary. For my simple bunny PCB with Oshpark it was $0 for the USPS standard shipping and went up to $25-$110 shipping cost for the most expensive options. With ShenZhen2U there was no free shipping option but the prices were much more reasonable starting at $6.46 for China Post Air Mail and going up to $36.13 for UPS China. The prices of course range by country and PCB size and quantity, still it is much more competitive than Oshpark. From the time the PCB was fabricated it took exactly 15 days until it was in my mailbox. I paid for the 11 day shipping option, so yes it did take longer but that's still quite reasonable. The fabrication took 6 days, a quick turnaround considering that I didn't pay for the accelerated lead time. The quality of the PCBs is great. My PCB was quite an odd shape yet there were no issues with the milling. In some cases I thought some tracks were a bit too close to the pin holes but this was actually part of the original design files (should have checked that before sending my order in!). The plating, pads and silk screen were superb I thought. The only issue I found was that there was some random text printed on my PCB, that is possibly the IC label gone wrong though. Here's a closeup of the board with some resistors placed ready to solder. Now what about the costs of the PCB? Well it is WAY CHEAPER than Oshpark. My board was going to cost $50 from Oshpark for 3x PCBs. With ShenZhen2U it cost just $11.90 and I got 5x PCBs. That's a huge saving! One place where Oshpark does a better job is the actual ordering website itself. 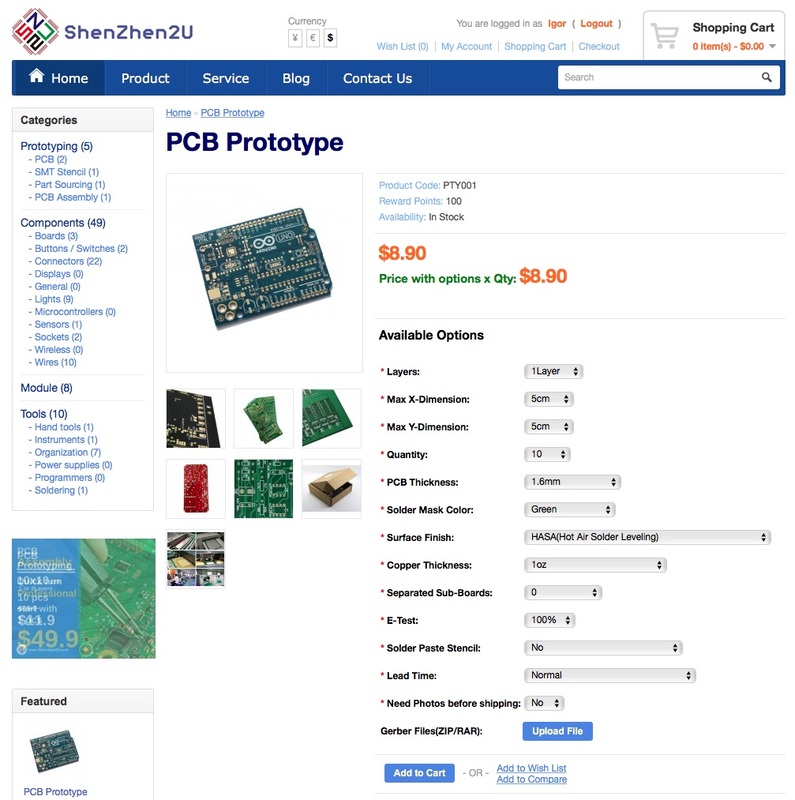 The ShenZhen2U PCB order page is very simple. You don't get any generated PCB previews or any fancy business, just a straight forward order page. I actually like that in a way, bar the fact that you need to send in your Gerber files (which adds a extra conversion step if you are using Eagle, etc). In the end I think ShenZhen2U is going to be my PCB fab of choice now. It's cheap, you get lots of boards with your order and the turn around and shipping times are reasonable. 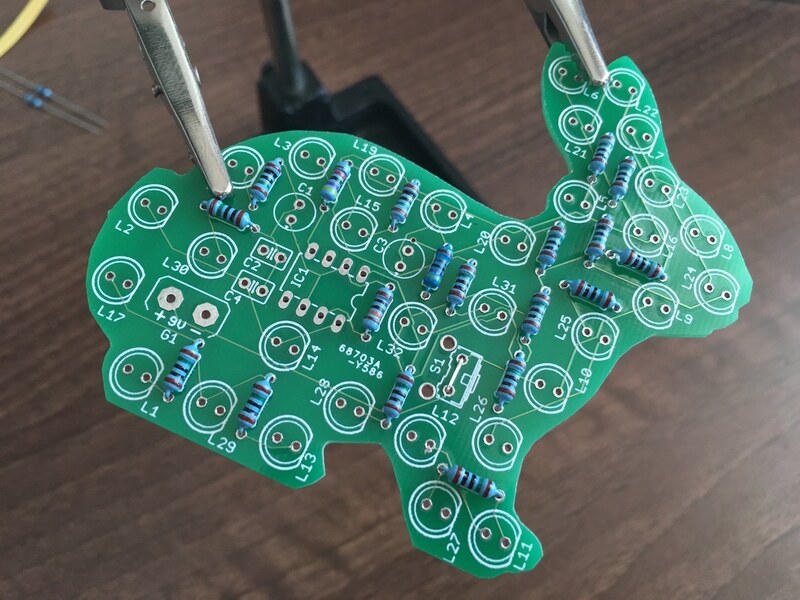 I am still yet to try having a PCB manufactured that uses SMD components, but given the quality that I saw with my first order I would expect that even more complicated PCBs will not have any issues.